Listen to Ocean’s take on the Breakfast At Tiffany’s classic. 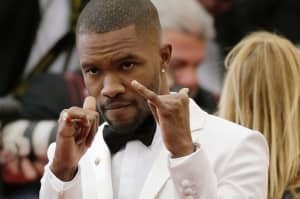 Frank Ocean has surprise dropped a new song. Listen to his cover of "Moon River" above. The lo-fi track features Ocean's vocals over a sparse backdrop. The original "Moon River" was performed by Audrey Hepburn in the 1961 movie Breakfast at Tiffany's. Released on Valentine's Day, the cover represents Ocean's first release of 2018. At the start of the year he hinted that he would be putting out new music during the year.